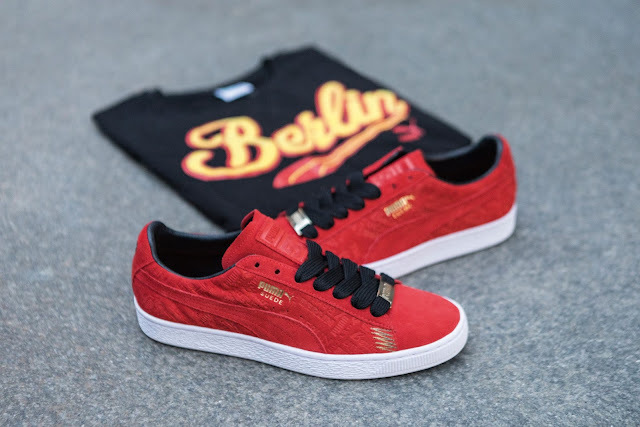 The Suede 50 party keeps it poppin’ as PUMA honours its hip-hop heritage with the Suede 50 Breakdance Cities Pack. The Suede 50 Breakdance Cities pack pays respect to the four most influential breakdancing cities worldwide: New York, Berlin, Paris and Seoul. PUMA give props to these cities that has kept B-boy culture alive, tracing back to the Bronx, its birthplace, across the pond in Paris where the subculture went onto mainstream media, then finding the breaks in Berlin. Eventually, the culture permeated to the Far East, making a major splash in Seoul. In four distinct colourways, each Suede Classic is embossed with a graphic treatment that celebrates its respective city and each pair has a matching tee. Complementing the kicks are Breakdance Tees each bearing the city name. 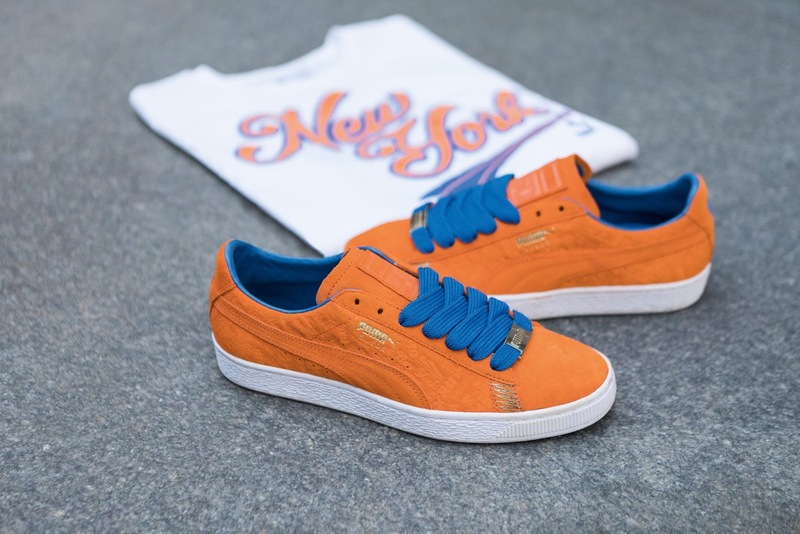 Suede Classic New York is all swag in a plush orange suede upper and Formstripe with blue lining that pops while keeping it classic atop a thick white sole. The fat laces come in orange, white and blue, add the gold 1968 lace locks and they’re certified fresh. Suede Classic Paris keeps it clean with a blue suede upper, liner and Formstripe to sit pretty on the chunky white sole. Set it off with fat laces in white, blue and red set in place nicely in gold lace locks. Suede Classic Berlin is bold in a red suede upper and a black liner on that big white sole. Fat laces (black, red, yellow) are eye-catching with the gold lace locks. 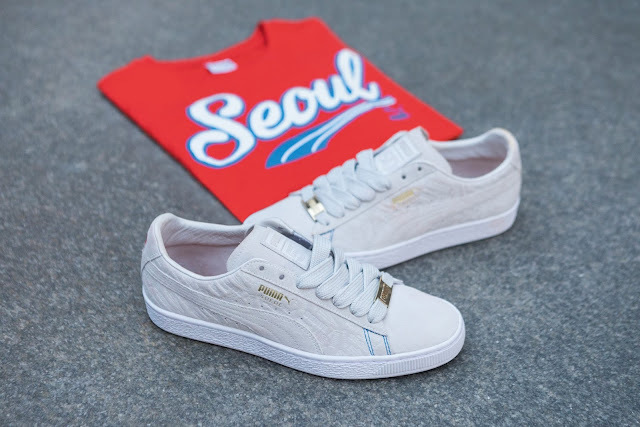 Suede Classic Seoul is refined and ready with a birch suede upper and liner atop that timeless sole. Fat laces (birch, white and blue) are polished with the lace locks. The Suede 50 Breakdance Cities Pack is available at PUMA SELECT and selected retailers nationwide.